Mozart’s final composition has held its place amongst the great works of Classical music, and one which carries a deep intensity for audience and performers alike. The English Chamber Orchestra is one of the world’s leading chamber orchestras. It has performed in more countries than any other, recorded over 1500 works and played with the world’s greatest musicians in its five decades of history. 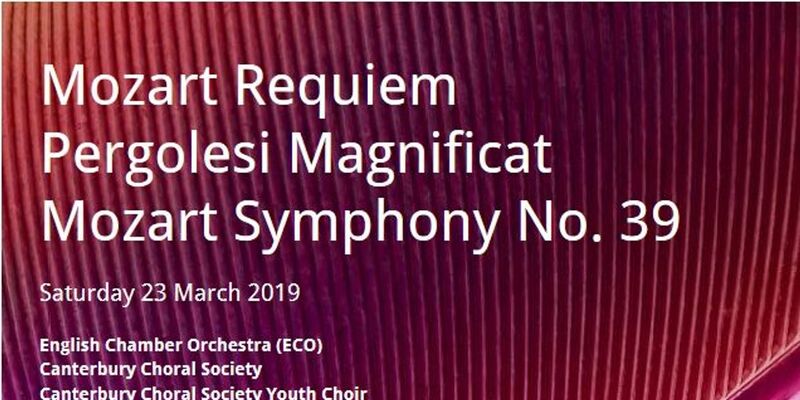 Canterbury Choral Society and Youth Choir is delighted to welcome them back together with an outstanding team of soloists for this performance of Mozart Requiem.